Applying to schools and colleges of optometry is done through the centralized system called OptomCAS. This is run through ASCO or the Association of Schools and Colleges of Optometry so that there is only a need to enter your information once to make applications to the many different programs that are available to you. Submissions begin from the 1st of July and your application will be available to all of the different programs that you select once it is uploaded. Most important of these requirements is often your OptomCAS or optometry personal statement example. This is important as most test scores and qualifications are going to be very similar to many other applicants and the committee will also want to know far more about you than just those numbers. Your optometry personal statement is often the only way that you are going to have to differentiate yourself from the other applicants. It will also often be the part of your submission that they will turn to when they need to make a decision. But writing a personal statement as part of your optometry application is far from simple. Many applicants fail to spend enough time crafting something that is going to get the attention of the committee. So it is very worthwhile turning to a professional service such as ours to gain an edge over your competition with the professional support that we can provide. The OptomCAS essay can be a maximum of 4500 characters in length. The system also allows you to upload supplementary essays that may be required by some programs. OptomCAS only uploads the main information; you still need to check with each individual program that you want to apply to if there are any additional requirements that they expect. Writing a personal statement is not a task for a novice that does not understand optometry. 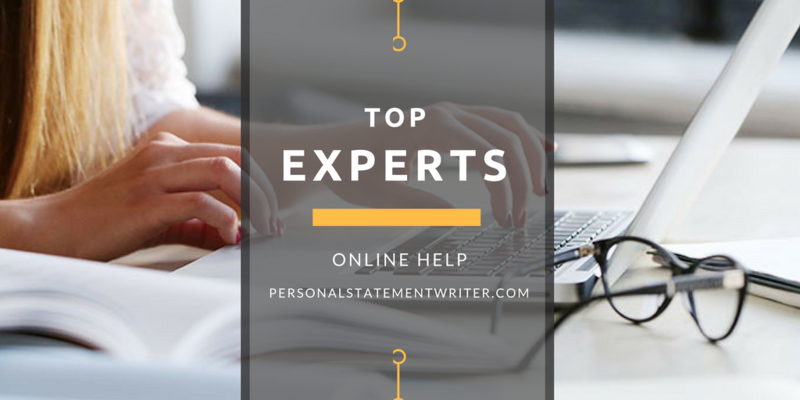 You need someone to help you that understands the field and what it expects as well as having an understanding of how to write in a compelling manner. Our experts work with you to be able to get access to the information that is required to write that very personal statement. It has to be about you and tailored to the programs that you are applying to if it will be effective. Our experts know how to avoid issues with things like clichés and can help you to submit a personal statement that will have the reader’s attention right from the opening lines. By working with us you will get to work with some of the best writers that you will find online in your field. 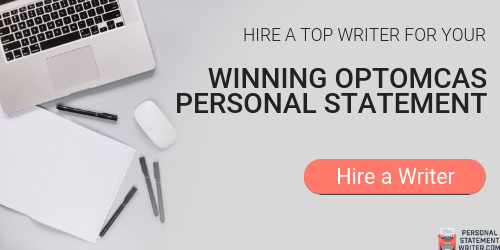 They are totally dedicated to providing you with the support that you need to submit that perfectly written statement that is going to get you noticed. Our services provide work that is totally unique in every way and sent to you with a full plagiarism report to confirm it. We also provide proofreading free on all of our editing and writing services so that you can be assured of error-free writing. Our highly affordable services also come with a full satisfaction money-back guarantee and we always deliver your help on time. 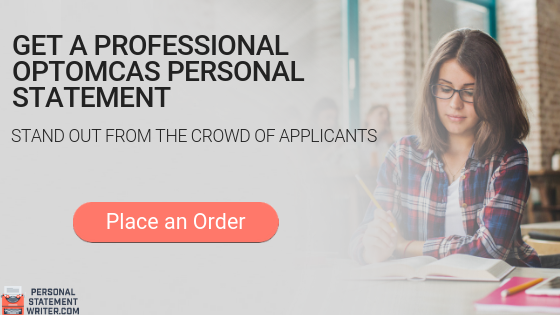 To submit attention-grabbing OptomCAS personal statement get in touch with our specialists today!